Government-backed, PHTK candidate, Jovenel Moise, is being paid out of the Haitian Treasury to travel to New York City (NYC) and Brooklyn. U.S. taxpayers are also paying his way. When Moise touched down at JFK Airport he was greeted by Haitian General Consul Representatives. But Haitian-Americans gave him the cold shoulder. At Brooklyn's intimate meet-and-greets, Haitian-Americans protested his appearance, saying Moise was ". . . a thief and a fraud for participating in . . . an electoral coup d'etat." Back in Haiti many thousands of demonstrators rail nearly every day about what they perceive as fraudulent election results. 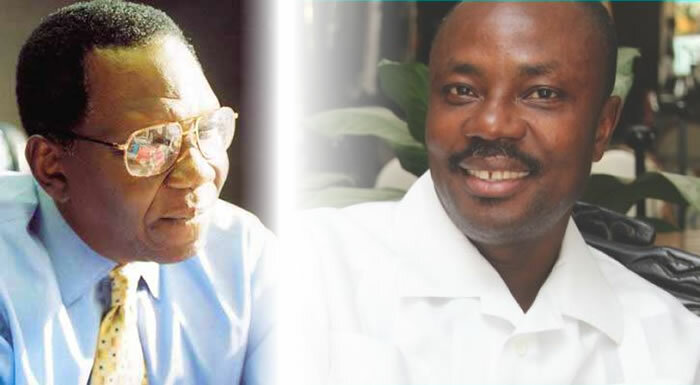 Although a mere 6% of voters selected Moise, according to exit polls; the Provisional Electoral Council (CEP) claimed he received 33% of the vote, placing him first. The 27% discrepancy is what has Haitians in an uproar. Their calm protestations turned violent when they came into contact with the opposition, who hurled rocks at them. One protestor was gunned down resulting in his death. Another was seriously wounded by a machete gash to his head. 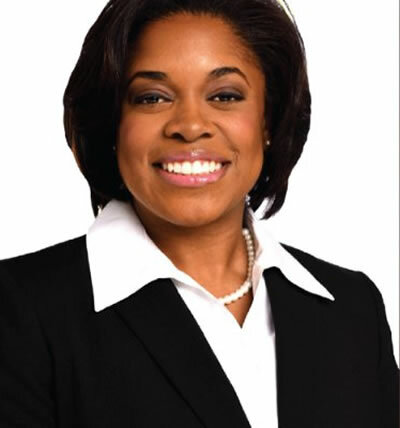 Here is a picture of Dweynie Esther Paul, elected as New York State civil court judge. Attorney Dweynie Paul, a resident of Bedford Stuyvesant Community in Brooklyn was born in Queens, New York to Haitian parents. With her passion for justice since her childhood days, she pursued a career in law and public service at Middlesex University in London within its British Legal System Program and interned with the Labor Political Party; she had another internship with the Honorable Daniel Lewis of the Criminal Supreme Court in Queens County, obtained a Master's Degree in Public Policy under the Stony Brook's Graduate Program and received a Juris Doctorate Degree from George Washington University Law School in Washington D.C. On November 4, this daughter of Haitian immigrants made history by becoming the first Haitian American to be elected as a New York State civil court judge. She won the election unopposed and became the judge of the civil court of "Kings" (Brooklyn). 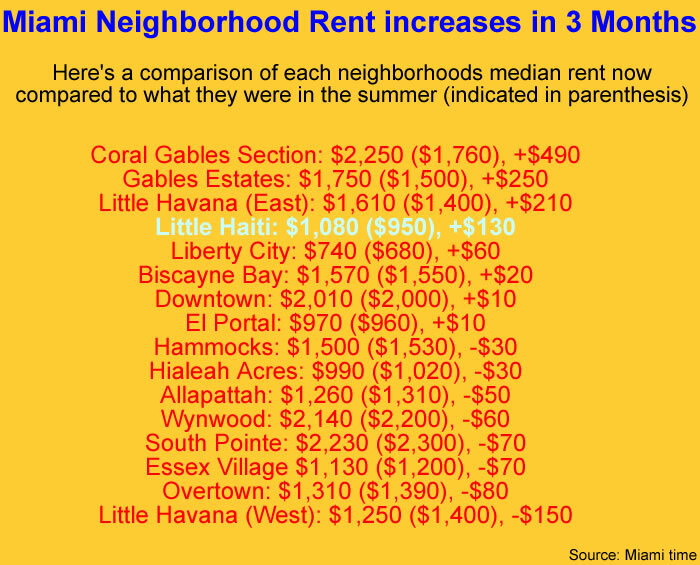 Here is the latest report on rent increase in Little Haiti. Miami Rentals Skyrocket. Miami is among the most expensive rentals in the U.S., ranking eighth. But placement does not include many neighborhoods, which remain fixed. Escalating rents are occurring in East Little Havana and Little Haiti. Zumper, who evaluates listings, can only give an estimation of median prices, leaving out units filled by word-of-mouth, for-rent signs, or Craigslist sightings. Figures indicate median prices fell 1.1% over the summer to $1,850.00 for one-bedrooms, and 1.2% to $2,500 for two-bedrooms. But prices remain at 5.7% over the last year. New York Attorney General Eric Schneiderman launches inquiry into 'no Haitian' nurses ad. 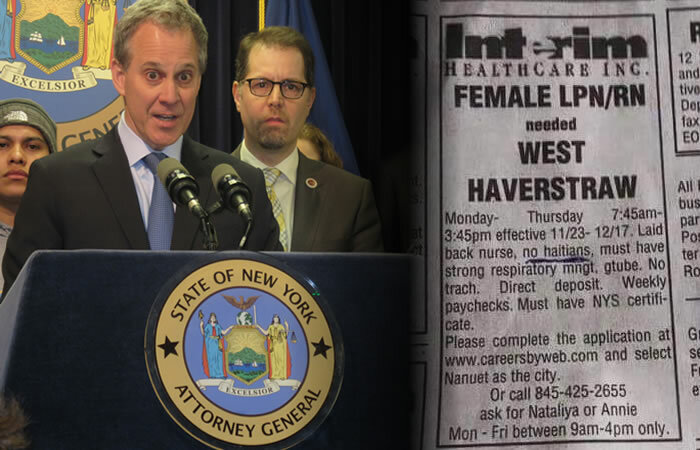 As per the Daily News dated October 19, 2015, New York Attorney General Eric Schneiderman, a member of the Democratic Party, has launched an inquiry into the nature of an advertisement published by Interim Healthcare Inc. of Nanuet on the October 15, 2015, issue of 'New City Pennysaver'. The Interim Healthcare Inc., had published a help-wanted advertisement on the above mentioned issue for a nurse that goes like: "Laid back nurse, no haitians, must have strong respiratory mngt,... The Attorney General believes, the advertisement has violated federal and state civil rights laws, because the law clearly prohibits discrimination in hiring on the basis of national origin. If the Attorney General is satisfied with the gravity of charges, would frame the said home care, hospice and medical staffing company in charges of discriminatory practices. Here is a picture of one of the most successful Haitian-American, Dumarsais Simeus as he supports Moise Jean Charles for President. Jean Charles Moïse is a former Senator who sees himself as the next Haitian President. He is confident of his victory in the upcoming presidential election from the Platform of the radical opposition "Petit Dessalin" and considers the election as a simple matter of formality. He has appointed Daly Valet, the star reporter of Radio Vision 2000 as his campaign manager. They two will make plans and take strategic decisions, jointly within the framework of the campaign. Moise is not alone; there are many experienced veteran observers of Haitian politics like Dumarsais Simeus who also believes him to be a winner in the presidential race. Dumarsais is one of the most successful and learned black businessmen in the U.S who once unsuccessfully enrolled himself in the presidential election in 2005. He believes Moise as the most potential candidate who has the ability to outrun other candidates in the race and lead the country for a better tomorrow. Here is a picture of DuPuis Medical Office and Drugstore located in Little Haiti. 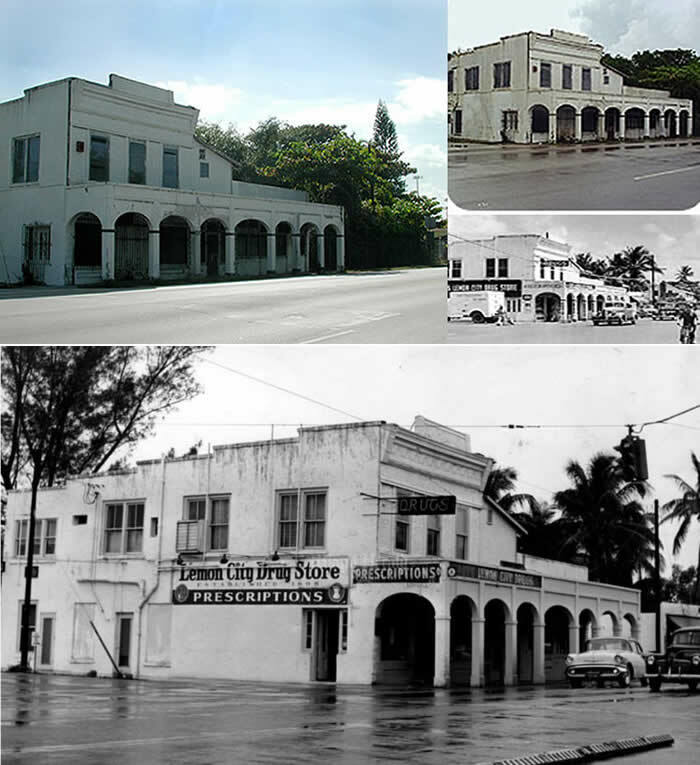 The DuPuis Medical Office and Drug Store in Little Haiti was founded by Dr. John G. DuPuis in 1902. DuPuis was fondly called as the "Lemon Doctor". He constructed his medical office and drug store in the rural community of Lemon City four years after he arrived in South Florida. DuPuis (born in 1875 in Newnansville, Florida) was a prominent pioneer physician and founder of White Belt Dairy (later it became one of the area's largest dairies) and the Dade County Agricultural School (in 1915, later renamed Miami Edison). He treated Miamians during the yellow fever epidemic of 1899 and was one of the few white doctors trusted by the Seminole Indians. DuPuis Medical Office and Drug Store became a subject of historic preservation on July 2, 1985. 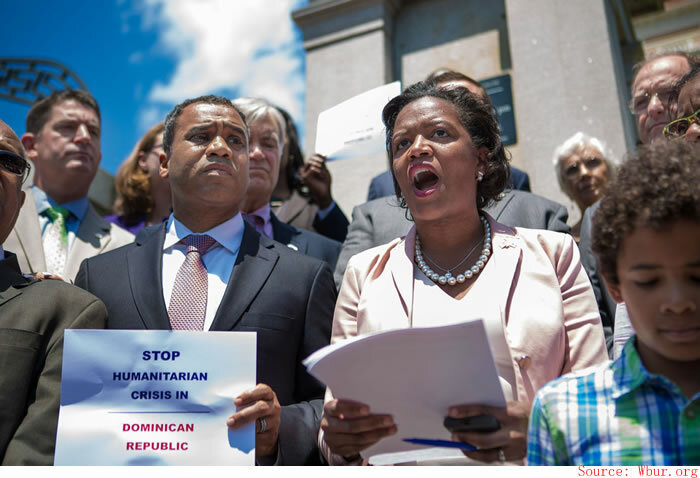 On June 30, 2015, Linda Dorcena Forry a Senator from Massachusetts, Senator Forry and several other political and community leaders during a press conference on the State House steps have denounced the potential mass deportations from the Dominican Republic (DR). They have expressed their disapproval in the manner that the DR's is handling the situation. They have conveyed their solidarity with this humanitarian crisis and called for tourism boycott of DR. The DR should immediately boycott this policy. Linda Dorcena has warned of worsening humanitarian crisis as the deportees will create hardship for many more in Haiti, because it is not at all equipped to handle the influx of refugees along its borders. 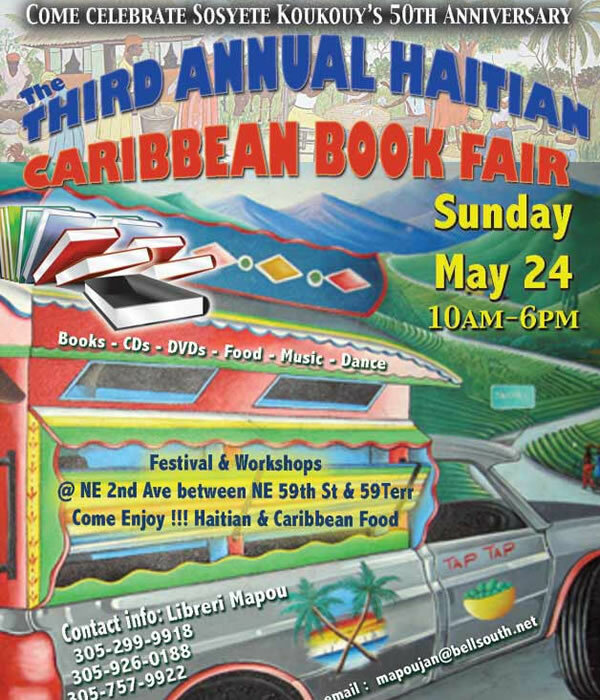 The third Annual Haitian Caribbean Book Fair to be held in Little Haiti. On Thursday, May 21, the European Union with a funding of € 437,000 and support from the local communal board of Bizoton and the Association of Progressive Citizens for advancement and Country Reconstruction (ACPARP) and César Foundation for the Weak of Haiti (FCPFH) has launched a project on "drinking water supply and sanitation in the localities of Fonds-Brache, Grand Caille and Bel-Air". The project will initially allow the locals to have access to better quality of water through the sanitation of the nearest source of Chaud'eau which serves all of these localities. The total project is expected to be completed within a period of 30 months. During the launching ceremony, Javier Nino Perez, the Ambassador of EU has said, the EU promotes all inclusive development approach which concretely improves the living conditions of the most vulnerable segments of the population by providing essential services. Victor Déjean, 58, a Canadian businessman of Haitian origin a resident of Toronto and his companion Maryland Don't, 42, a resident of Montreal have been arrested on suspicion charges for smuggling drugs from Haiti to Canada. They were arrested by the Royal Canadian Mounted Police (RCMP) of Toronto and officers from the Police Service of the City of Montreal, followed by an investigation conducted by the Division of Federal and Airport Surveys (SEFA). A total of 4kg of cocaine was found with the suspects. 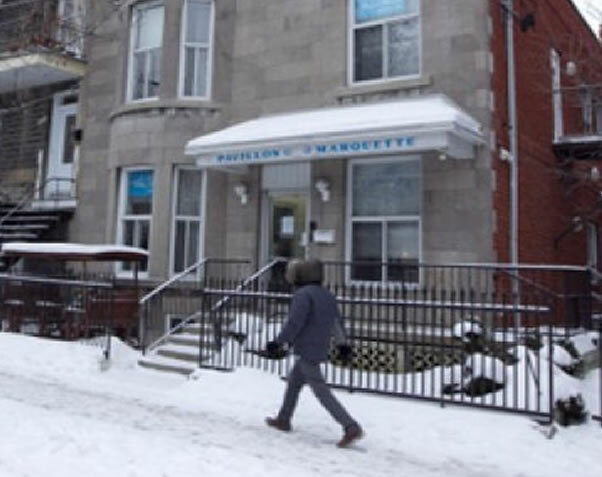 Déjean Victor is the owner of Pavillon Marquette, a Medical Clinic, and also Cristina complex, which is a banquet center and a theater. He is a well known figure in the Haitian community in Montreal. Earlier on December 30, 2009, he was arrested with his brother Abel, for the same reasons in Port-au-Prince airport while they were waiting for a Canadian flight with a load of 2.35 kg cocaine. He was arrested by the Haitian police and was sent to the prison of Port-au-Prince. However, when the prison collapsed in the 2010 earthquake, he managed to escape home on an aircraft responsible to repatriate Canadian nationals. On Wednesday, February 4th, Patrick Edouard Valmé has taken charge as the new Director General of MHAVE. 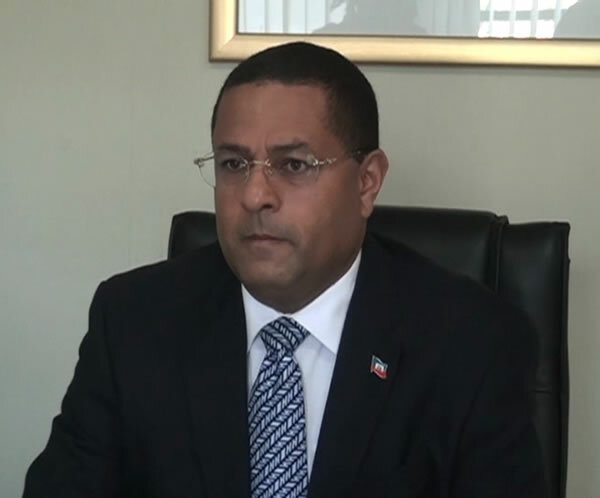 He was received in his new office by Olivier Pieriche, the Minister of Haitians Living Abroad (MHAVE). While accepting his new responsibility, the minister reminded him of the ardent determination and dedication that his new assignments call for to overcome every challenge and obstacle in the future. However, removing these obstacles would be never difficult because the ministry will always stand by the side of MHAVE. They will strive for one common objective of national interest. In his speech, Edouard Valmé confirmed own solidarity with the Diaspora mechanism and expressed his commitment to implement Ministry's policy towards the Diaspora for maintaining sustainable development.